We're sorry but we are unable to find that webpage. Please use the menu above (or below) to keep browsing our site. You can always Contact Us if you have any questions. Thank you. Services - displays our core services here at FoodTruckRental.com. Clients - sampling of our corporate clients. List My Truck - if you own a food truck and would like to list it here on our site for rent. 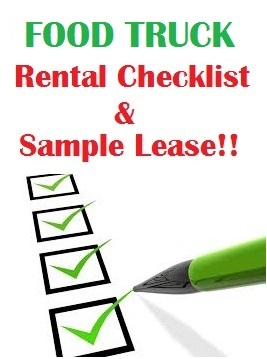 Sample Contract - you can purchase a sample food truck rental agreement, along with a checklist of things to keep in mind when renting a food truck. Contact Us - you can email us direct with any questions.